I’m going to share a first world problem with you; my Halloween sucked this year. Not only could I not partake in my usual Netflix horror movie marathon, I also overslept through a tour of some Nazi bunkers, and the few Trick or Treaters that ventured near my flat were scared off by the drunks that occupy that area. Most of today was spent sadly looking out the window as November pushed my favorite holiday out of everyone’s minds till next year. That’s probably kind of a depressing way to segue into this week’s Cheap and Dirty Gamer, but there is light at the end of this dreary tunnel as the Where’s Waldo-esque Hunt of Horror gave me the concentrated shot of ghouls and ghosts that I needed to get through the day. 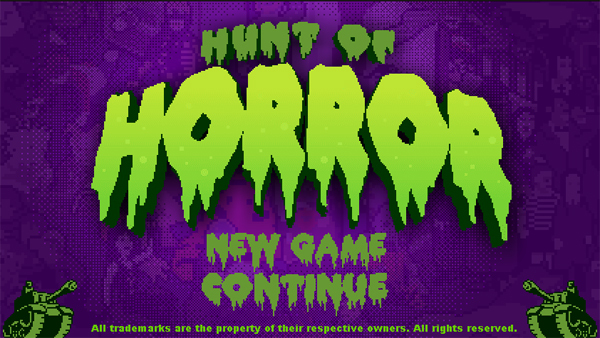 Hunt of Horror is a picture hunt style of game that tasks you with finding characters and creatures from horror related movies, games and books. I realize that sounds pretty simple and it is, so if you don’t like the horror genre then I’m not too confident that poking around a static picture will be worth your time. If you happen to be the type that knows the difference between Michael Myers and Jason Vorhees or can identify a Pumpkinhead in a room full of Cenobites, then this game has something that may appeal to you. The game’s difficulty is derived not only from the vast amount of horror references on screen at onece but in how those references are individually illustrated. Everything is interacting with everything else in a variety of funny and sometimes gruesome ways (though again, it’s just a snapshot). This complicates locating certain characters regardless of whether or not you know what you’re looking for, so be prepared to peel your eyes (metaphorically speaking, actually doing this would hurt). Let’s just say that Count Chocula isn’t in a condition that his fans would be comfortable seeing. Study this picture, there will be a test at the end. I’d love to see something like this converted into a competitive style game ala You Don’t Know Jack, simply because I literally don’t know jack but was pretty good at Hunt of Horror. I’d also like a game where I was actually hunted by everything represented in the picture or perhaps I could be the one doing the hunting, though I’m pretty sure that’s why I play The Secret World. My Cheap and Dirty Gamer Leftover this week is completely interactive as Hunt of Horror doesn’t lend itself to a short movie. Instead, I challenge you to name at least ten characters from this picture in the comments section (the more obscure the better) and the winner will get my admiration. I’ll decide the winner randomly but also based on character obscurity, wittiness and etiquette. Because it’s more fun to actually play the game, anyone that doesn’t comment will also be considered winners based on resourcefulness. 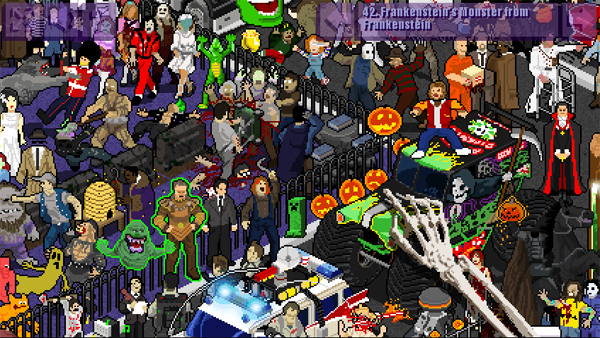 browser games, cheap and dirty gamer, hunt of horror, newgrounds, where's waldo?